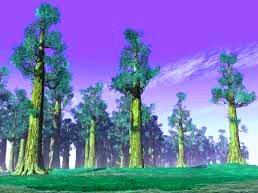 1.Sequoia-Giant sequoia trees are trees that can reach even 5,000 years and dizzying heights of over 100 meters and weighing 2,400 tons colossal. 2.It has a height of about 30 meters. 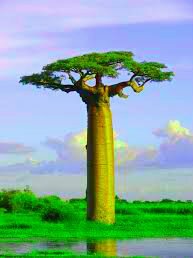 Baobabii are among the oldest trees on the planet, with a length of up to 880 years.Baobab can be a source of water not only for humans but also for animals. Elephants scratch baobab trunk fiber to release water. They can store up to 1,000 liters.